When social media enters the business world, a larger number of employees get to speak on behalf of the company than what was standard practice before. Often this is a good thing, but of course there can always be one or two bad apples that will take advantage of this new found power and try to harm the organization. That was probably what happened to Vodafone today when someone internally tweeted an obscene tweet from Vodafone’s corporate account. And since Twitter is Twitter, also bad news spread extremely fast. 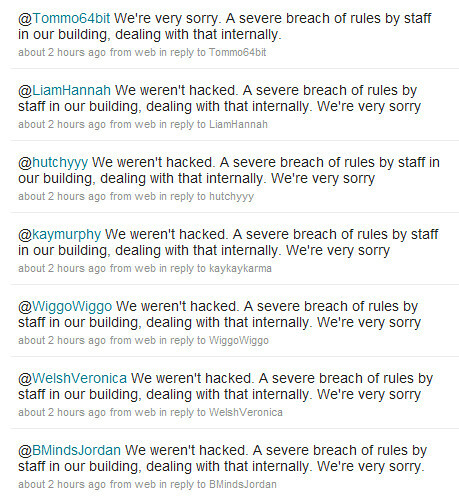 That’s why VodafoneUK currently is involved in some serious online crisis management, see their Twitter stream below. 1.They responded quickly and said what was happening. In social media, people can spread messages quickly. Vodafone also responded quickly and said exactly what happened and was happening. It wasn’t a hack but an internal employee and that person was being dealt with. 2.They responded in the same place that people are talking about them. Vodafone responded to its Twitter followers on Twitter, using the VodafoneUK account. The key to crisis management in social media is to respond where people complain. Otherwise you risk alienating them and losing your role in the story. Tags: twitter, vodafone, tweet, uk, twitter. Ping.